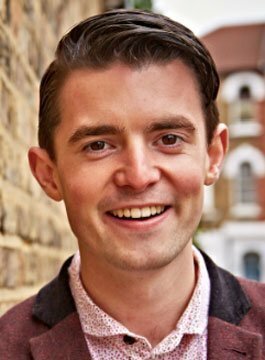 Fraser Doherty MBE is the award-winning founder of SuperJam. After being taught how to make jam in his Grandmother’s kitchen in Scotland, Fraser came up with a way of making jam 100% from fruit. At sixteen, he presented his brand, SuperJam, to Waitrose and went on to become the youngest ever supplier to a major supermarket. SuperJam has since grown into a company that has sold many millions of jars through thousands of supermarkets around the world. As well as being a commercial success, the business has invested in successful charitable projects – running hundreds of free tea parties for the elderly in Europe, Korea and Australia and setting up community beehives in the UK and Korea. Fraser Doherty has been commended by the Prime Minister at Downing Street, by HRH Prince Charles and was recently awarded an MBE “for services to business” by The Queen. He has shared his incredible story at more than 500+ conferences in 27 countries around the world, as well as in his best-selling books SuperBusiness – published in UK, US, Australia, Korea and Japan and The SuperJam Cookbook. Gordon Brown, Former Prime Minister.